I cannot live without my life!I cannot live without my soul!When Catherine and Heathcliff's childhood friendship grows into something so much more, what ensues is one of the greatest love stories of all time. 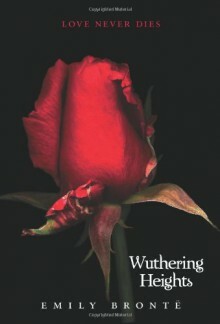 Even as fate conspires against them and passion consumes them, nothing can keep Catherine and Heathcliff apart. Not even death . . . for their forbidden love is unlike any other.Emily Brontë's masterpiece remains as compelling and thrilling as ever. Beautifully presented for a modern teen audience, this is the must-have edition of a timeless classic.